Poker enthusiasts are once again flocking their way to Ireland to witness and even participate in the renowned Irish Poker Open 2011. What could have made this poker event so popular that people even from distant parts of the globe are willing to tackle every obstacle all for the sake of this poker tournament? Let’s find out. The Irish Poker Open is among the prestigious and long running poker tournaments in Europe. It has been a well-respected tournament in the world and has become the home of poker legends. This year, the event will be center stage from April 22nd to April 25th at Burlington Hotel in Dublin, Ireland. Poker players are very much excited for this year’s poker open because it offers great surprises that will once again break records from the previous year’s tournament. But before going any further, let’s find out how this world-class poker tournament came to be and what the exciting surprises are in this year’s event. 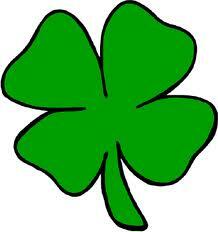 The Irish Poker Open had its humble beginnings in 1980 organized by the renowned Irish bookmaker Terry Rogers. The first winner was a woman, Colette Doherty, who later on became the first woman competing in WSOP and the first European player. When Rogers died in 1999, Paddy Power took charge in running the poker event in 2005 and had been responsible in making the event into a larger poker competition to this day. The Irish Poker tournament is recognized as the oldest No Limit Texas Hold’em Tournament all over Europe and next to World Series of Poker tournament throughout the world. The tournament was held in various casinos and hotels but as the competition got bigger, larger venues were needed; thus, finally settling in Burlington Hotel till the upcoming event. This year’s Irish Poker Open will mark the return of Sole Survivor promotion feature wherein the last poker player qualifier will take home €100,000 cash prize plus any prize money the player may get from the poker tournament. Buy-in for this prestigious event will be €3,200 plus €300 and players will start with 20,000 chips instead of 10,000 chips. The 2010 poker event had 708 poker pros playing in the tournament and James Mitchell of United Kingdom won over them. This year, it is expected to break last year’s record with big names playing once again, like Neil Channing, Kara Scott, Dan Harrington and Brain Townsend. 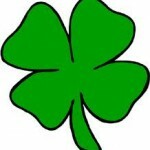 The 2011 Irish Poker Open is sure to be another power-filled event for poker enthusiasts across the globe.